Does ANYBODY know anything about this record/ performer? 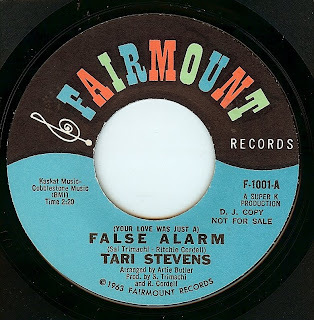 Other than the fact that it's a masterpiece of song arrangement and was a northern soul staple in the early days of the scene, this is one of those big "head scratcher" records; the name Tari Stevens never appeared again on any known release (could be someone else under a pseudonym). While the label says 1963, the Monarch Pressing plant number dates the pressing to September 1966. Super K productions were the same fellas who started the bubblegum music movement in '67 with a home base at Buddah Records.